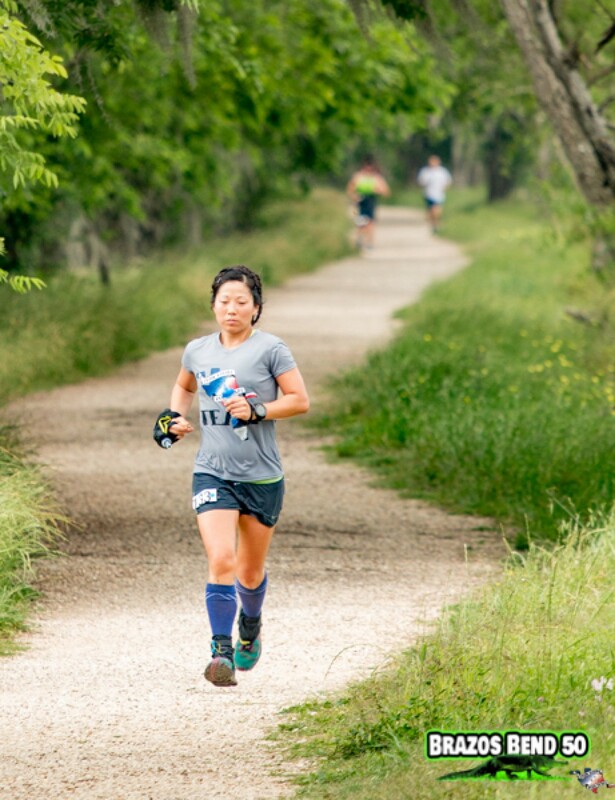 The Brazos Bend 50 Miler aims to be the fastest race in Texas. With its mostly flat course, easy aid stations, and wildlife to watch, its the perfect place to set some PRs. The park's wildlife is diverse and abundant. The white-­tailed deer is the largest of more than 25 different species of mammals present, which also include bobcats, coyotes, raccoons, gray and red foxes, river otters, feral hogs, and several species of rodents. Approximately 21 species of reptiles and amphibians have been recorded, and the smaller turtles, lizards, snakes, and frogs are overshadowed in general interest by the American alligator, which is present mainly in the wetland areas of Elm, 40­-Acre, and Pilant lakes. Birds of 290 species have been sighted in and around the park. The diverse habitat is a haven for migratory waterfowl, a variety of shorebirds, wading birds, songbirds, and raptors.